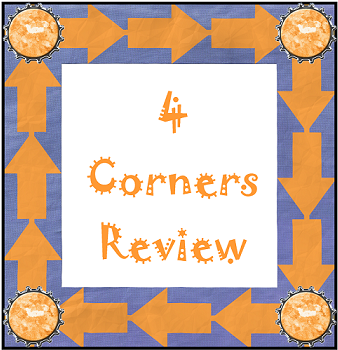 One of my favorite ways to review a skill is to use the 4 Corners strategy. I like it because it gets the kids up and moving. I also like it because your kids can hide within the pack if they aren’t so certain about an answer. Here’s how it works. I always make the students explain the answer to reinforce what they’re learning. For your students who ar estruggling, they get to practice but if they don’t know an answer, they can just follow the group and listen for the explanation. By doing this activity, all students are involved and it really reaches your kinesthetic kids. This is also a great way to pre-assess students. You can ask students for their comfort on a specific topic and they move to the corner that corresponds. You can use it as a post-assessment by doing the same thing. You can also use it to have students pick how they will show their learning (write a report, act out a play, etc). Basically, you can use it any way to have students make a choice. I’d love to hear some other ways you use this strategy. I’m also linking up over at Minds in Bloom for her movement linky. It’s the time of the year where those kids get a little restless and really want to move! Thanks so much Annie! I'll have a subtraction one out soon- hopefully this weekend.